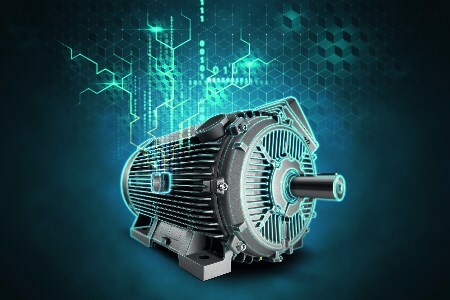 Siemens’ new Simotics SD low-voltage motors are fitted with Simotics IQ, the German engineering company’s new Internet of Things (IoT) concept for motors. Simotics IQ captures important operating and condition parameters via a compact sensor box and then transmits them by WiFi to the cloud. The operating date can then be stored and analysed by the Simotics IQ MindApp on MindSphere, Siemen’s open cloud-based IoT operating system that allows operators to connect equipment and physical infrastructure to the digital world. The Simotics IQ MindApp provides the user with technical motor date and analytical results on the operation and condition of the motor. It can then, for example, propose recommended actions for preventative maintenance. Simotics SD severe-duty motors are designed for harsh industrial environments, such as cement plants.